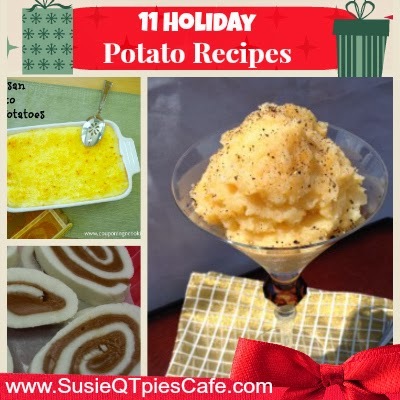 Do you have any favorite mashed potato recipes? Now that it is time for Thanksgiving and Christmas I have been thinking about potato recipes. 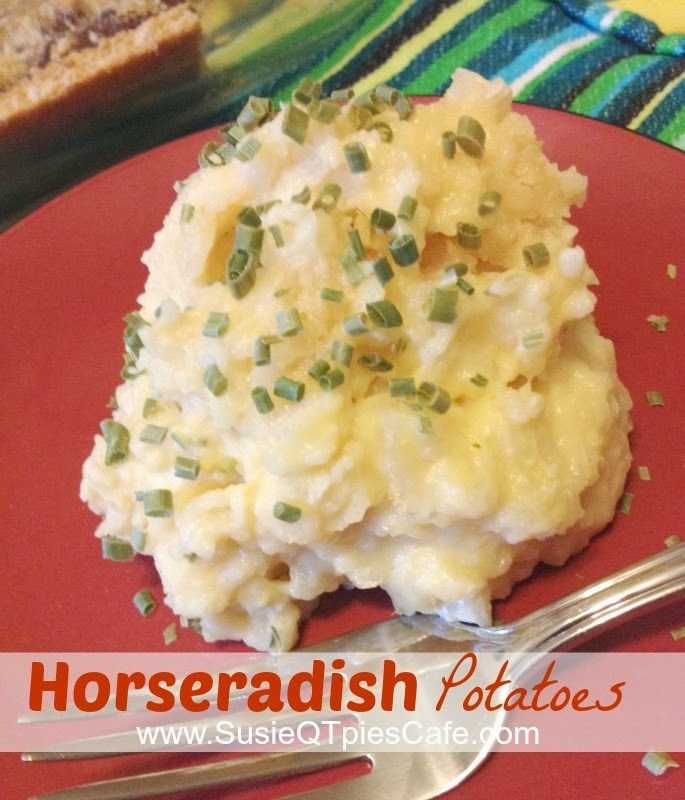 If you need something extra special for the holiday dinner menu check out these tasty choices including the Horseradish Potatoes from Gooseberry Patch. This recipe is in their new cookbook, Hometown Christmas. I'll be sharing more holiday recipes from that cookbook this week and giving away a copy! Cut unpeeled potatoes (we peeled ours) into halves or quarters, depending on size of potatoes. Cover with water in a saucepan. Cook over medium high heat until soft enough to mash, 15-20 minutes. Drain mash with remaining ingredients leaving potatoes chunky. Serves 4-6. 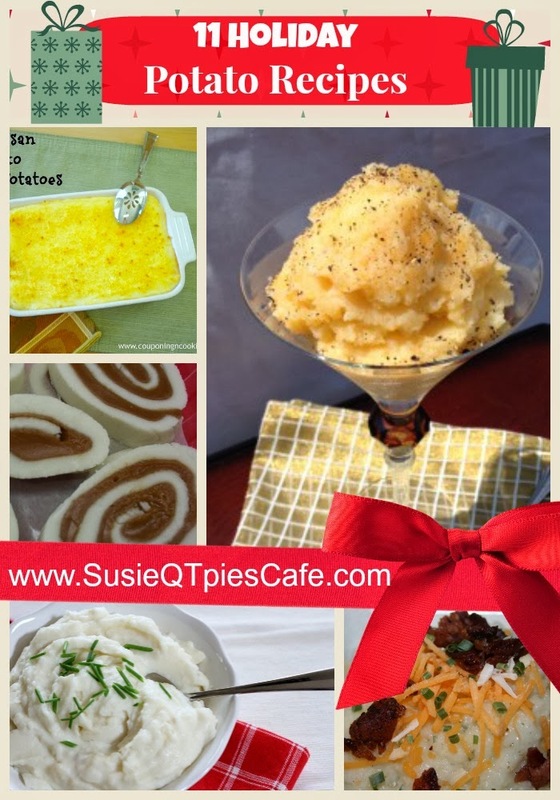 Mocked Mashed Potato Bar is a family favorite and low carb friendly! Roasted Garlic Mashed Potatoes by Call Me PMc looks savory!